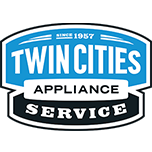 We used TC Appliance to fix a problem with our just over a year old Maytag washer. They come out and diagnosed the problem, ordered and shipped the part and came back and installed it in about 10-15 minutes. Very good and persistent communication via phone, email and texts. Definitely will use them and recommend them for all appliance service! Polite, timely, and thorough. Technician came in for warranty service - he tested the appliance, explained what the problem was, and how to correct it - and then he completed his work, and verified that the appliance was functioning correctly. Thanks! WASHER WHIRLPOOL WFW72HEDW0 Pump still running fine but not pumping water. Pulled off filter and found 2 socks in pump. Removed socks and all checks out ok and is working correctly with no issues. Only way to prevent this from occurring in using garment bag for smaller items. No other issues noted with unit. Left zip tie for drain once they are reinstalling unit. DISHWASHER WHIRLPOOL WDT710PAHZ1 "F4E3 motor not turning verified 120 VAC to motor, left card with customer to schedule return. ; ordrng 1 W11085683 (pump&motor)"
DISHWASHER WHIRLPOOL WDT710PAHZ1 Replace sump no leaks operates correctly. DRYER WHIRLPOOL WGD4815EW2 "Installed new heat selector switch. Monitor external vent temps and would cycle off around 150 on low heat setting and 160 on high. All checks ok, if still an issue for the customer may be an intermittent operating thermostat. Would need a WP3387134." DISHWASHER WHIRLPOOL WDF330PAHW0 Safety float up handle from pan holding up tested twice filled correctly. REFRIGERATOR WHIRLPOOL KRFC704FPS00 "Installed new fill tube to ice maker, tested ice maker and fill valve. Unit working properly now, allow 24 hours for ice bin to fill." RANGE WHIRLPOOL WFG515S0EW1 "Right front burner too high on lowest setting, adjusted valve, now flames are lower." REFRIGERATOR WHIRLPOOL WRT549SZDW00 "Pulled EVAP forward and make sure back wall was good, checks ok. Defrosted EVAP and replaced thermistor and harness. Old thermistor was over the coated portion of the EVAP. Reassembled and all checks ok. Unit started cooling and getting plenty of airflow to the ff section. ; used 1 W10902214 (THERMISTOR) from stock"
MICROWAVE JENN-AIR JMW3430DP02 Installed new user interface on unit and programmed to their model. All checks ok and is working correctly. DISHWASHER KITCHEN AID KUDS30IXSS9 "Found a small piece of something on the heating element in the front. Removed and ran through a second test cycle. All checks out ok, still a faint smell on the unit but it will go away after a few cycles." DISHWASHER KITCHEN AID KUDI02FRSS1 Installed link kit new panel mounting holes do not align returning part credit customer. RANGE WHIRLPOOL WFG975H0HZ0 "Using digital gas detector, no gas leaks found. Ran all burners, bake and broil. No raw gas smell found. Advised customer that there are many solvents in the new house that is tightly closed in winter, mixing with the burner flame exhaust"
REFRIGERATOR JENNAIR JS48NXFXDE00 Reset high temp alarm and checked temps they were normal. Put unit in diagnostics and everything checks out ok. I have a good frost pattern on evap all fans are running and damper is opening. I think a door may have been left open to give him temp alarm. WASHER WHIRLPOOL WFW92HEFW0 Installed new tub and basket assembly in the unit and ran through a diagnostic test. All checks out ok and is working correctly with no further issues. RANGE WHIRLPOOL KSGB900ESS2 Replaced control and bezels operates correctly. WASHER WHIRLPOOL WTW4955HW1 Hooked machine back up and it went into an extended drain. Held down start button to reset control and ran through a recalibration and automatic test. All checks ok and is working correctly with no errors. MICROWAVE WHIRLPOOL WMH31017FW0 Installed interlock unit operates correctly. REFRIGERATOR KITCHEN-AID KRMF706ESS00 "Installed cover. No ice has been made icemaker has e2 error for motor lost position fill tube frozen and deli ui is acting up now possible moisture got inside it when unit thawed out ice bucket. Will need W10760808 heater $59.94, WPW10764668 icemaker $144.09, WPW10769076 CNTRL $341.51 customer does not want to repair at this time ; used 1 Ship (Shipping/Handling) from stock"
WASHER WHIRLPOOL WFW92HEFW0 "No error codes customer states problem started in last 2 months unit is level there is no OL flashed into diagnostic, used five towels ran a drain and spin completed correctly tech feels towel feel acceptable customer does not this unit falls past serial number for new ACU to correct this problem the basket turns with no resistence. ; ordrng 1 W11201293 (ACU)"